Unfortunately, due to sales rights restrictions, we cannot offer Where The Paved Road Ends for sale in your country. 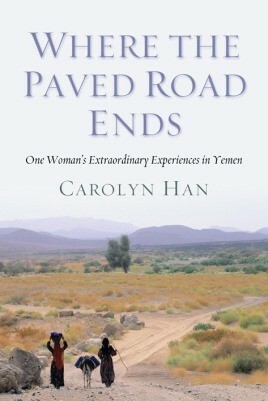 In 2004, Carolyn Han left her comfortable life and position as a lecturer in English at Hawaii Community College and went to live in one of the most remote and mysterious places in the Middle East—Yemen, known in the West primarily for providing a haven for terrorists affiliated with al Qaeda. The previous year, she had sold her gold jewelry to travel with Bedouin by camel from Marib to Shabwa, and the life-changing experience opened the path for her to become the first American English instructor in Yemen’s wild tribal area, Marib.